EMDR therapy is an integrative psychotherapy approach that has been extensively researched and proven effective for the treatment of trauma. EMDR therapy is a set of standardized protocols that incorporates elements from many different treatment approaches. To date, EMDR therapy has helped millions of people of all ages relieve many types of psychological stress. EMDR therapy seems to have a direct effect on the way that the brain processes information. Normal information processing is resumed, so following a successful EMDR therapy session, a person no longer relives the images, sounds, and feelings when the event is brought to mind. You still remember what happened, but it is less upsetting. Many types of therapy have similar goals. However, EMDR therapy appears to be similar to what occurs naturally during dreaming or REM (rapid eye movement) sleep. Therefore, EMDR therapy can be thought of as a physiologically based therapy that helps a person see disturbing material in a new and less distressing way. Click on the picture below to watch interviews with actual EMDR therapy clients. This Public Service Announcement (PSA) was produced by EMDRIA in August 2016. Client Handouts. EMDR Therapy – Guide for Making an Informed Choice is an easy-to-read handout for clients that describes the EMDR process and what to expect in therapy sessions, to include an overview of the 8-Phases of EMDR therapy. EMDR – Client Handout describes how the mind can often heal itself naturally, in the same way as the body does. Much of this natural coping mechanism occurs during sleep, particularly during rapid eye movement (REM) sleep. EMDR therapy should be administered only by licensed clinicians specifically trained in EMDR therapy. It is important to take your time to interview your prospective clinician. The clinician should have completed the EMDR therapy Basic Training in EMDR (Parts 1 & 2 w/ 10 hours of consultation). Choose a clinician who is experienced with EMDR therapy and has a good success rate. Make certain that the clinician is comfortable in treating your particular problem. In addition, it is important that you feel a sense of trust and rapport with the clinician. Every treatment success is an interaction among clinician, client, and method. Ongoing Assessment of Competency for the EMDR Therapist. In addition to the above, we recommend that the therapist receive ongoing consultation with an EMDRIA Approved Consultant or Consultant-in-Training and/or participate in an EMDR therapy consultation group (or peer consultation group that also focuses on competence in EMDR therapy). It is also recommended that the therapist attend EMDR therapy advanced workshops as well as attend the annual EMDRIA conference. Our President, Brenda Rohren, is the Regional Coordinator for the Southeast Nebraska EMDRIA Regional Network. Information about training to become a qualified EMDR therapist and levels of advanced training, visit the FAQ page of the website. The website also has a searchable Directory of EMDR therapists who are members of our Regional Network. 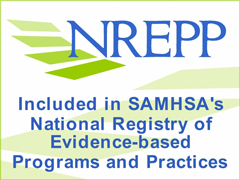 The Regional Network meetings are held several times per year and offer peer consultation groups (facilitated by a Certified EMDR therapist) as well as workshops that are approved for EMDRIA credits. EMDR Therapy Research. For a 38-page annotated bibliography of EMDR therapy research overview for 1989-2016, click here.